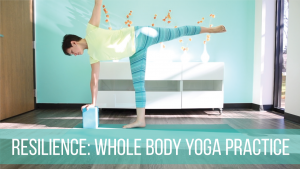 These yoga practices have been recently added to the Sequence Wiz Home Yoga Practice app. 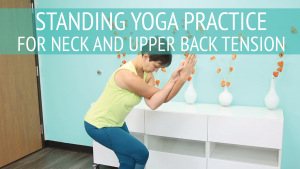 This yoga practice includes a wide range of hip movements and invites you to go deeper in stages. The practice gradually builds toward Upavista Konasana and ensures that both your hips and your hamstrings are ready for it. 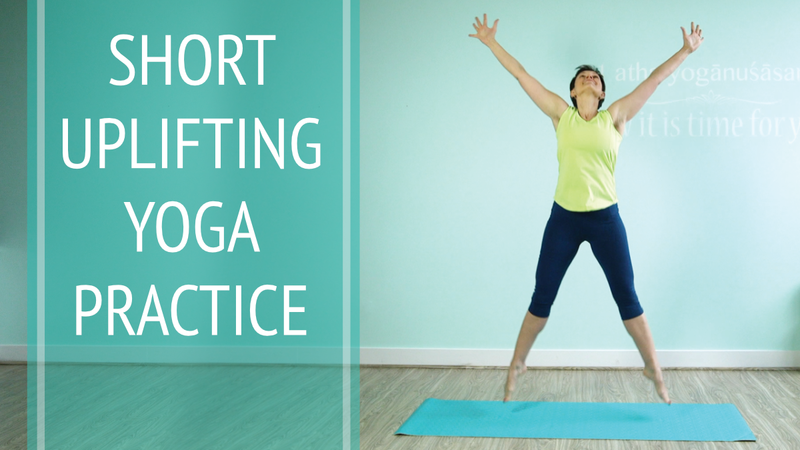 It is a pretty strong practice that includes fairly long holds in some challenging poses. In this practice you never bring your head below your heart, so it would work well if you have glaucoma, vertigo, or high blood pressure. Of course, you would still need to make sure that it works for you. You can find it under Physical body > Hips > 40-60 minutes. You can find it under Physical body > Entire body > Under 20 minutes. This yoga practice is done entirely in the standing position. It targets the neck and upper back, and includes various movements that both increase circulation to those areas and stretch them. 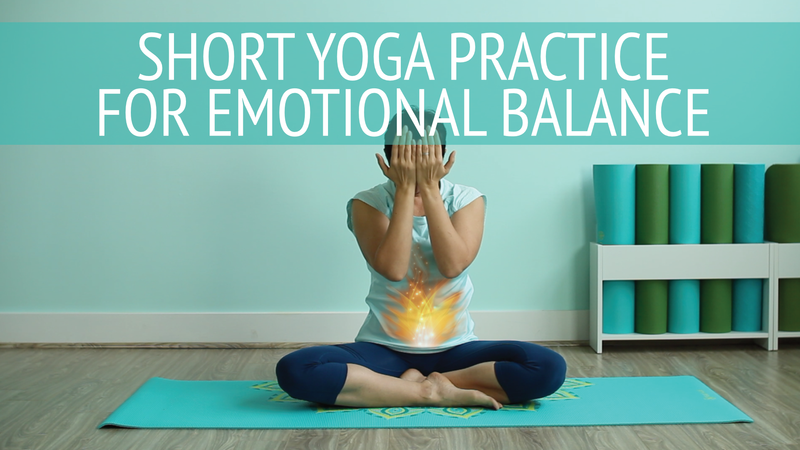 It also includes a simple breathing practice that helps you relax your neck and lengthen your spine. You can find it under Physical body > Neck/upper back >20-40 minutes. 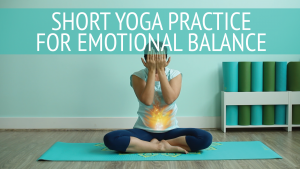 In this yoga practice you will use the energy of your emotion to fuel an imaginary fire to purify the main emotionally-charged sites of the body: head, chest and belly. This will help you discharge your emotion and feel more balanced and clear. You can find it under Mental-emotional state > Angry -20-40 minutes. This yoga practice designed to give you an energetic boost if you feel tired, depleted or frazzled. 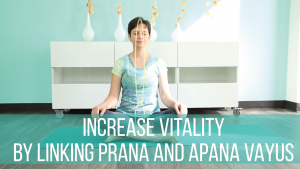 The entire practice is focused on expanding and deepening your inhalation, which creates the sense of spaciousness and helps build your energy up. You can find it under Energy > Sluggish > Under 20 minutes. 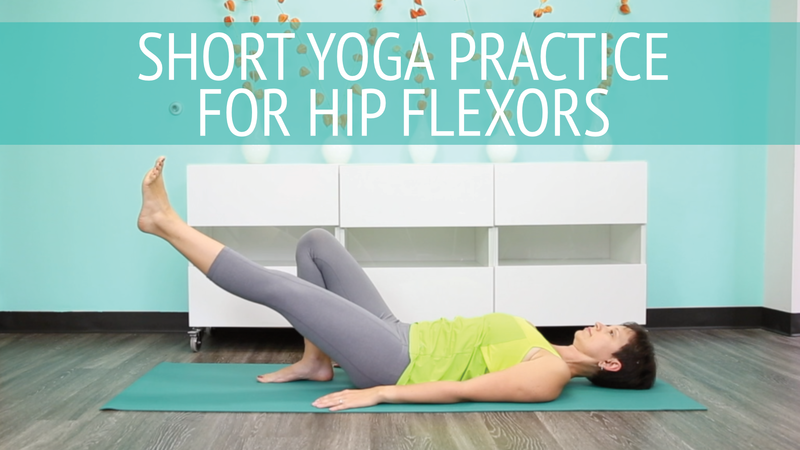 This short yoga practice is meant to loosen up your hips by contracting and stretching your hip flexors. This can have a positive effect on your lower back as well, since hip flexor tightness is often connected to lower back pain. 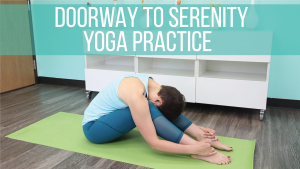 This yoga practice uses simple movement, deep belly breathing and meditation to gradually let go of the regrets, worries and problems of the day. The practice also includes guided relaxation that you can do in bed. You can find it under Specialty practices > 20-40 minutes. 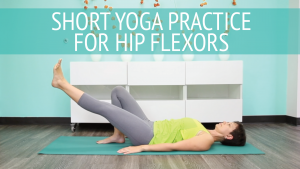 This yoga practice trains your dynamic balance while strengthening the hips. It includes several standing balance postures that are done both dynamically and statically, and some hip work. You can find it under Physical body > Balance > 40-60 minutes. Our physiological functioning is affected by the flow of energy along its five major currents, called Vayus. In this yoga practice you will spend time working with each Vayu individually and then bring them all together in the end. 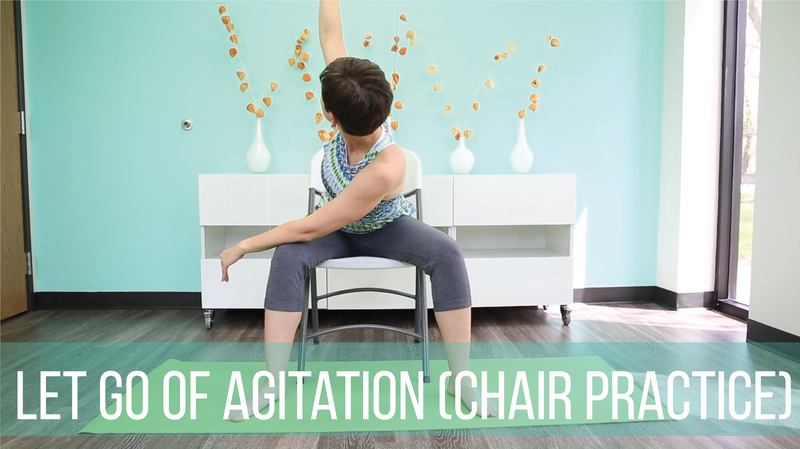 This practice is designed to help you balance the energy flow and increase vitality. You can find it under Energy > Sluggish > 40-60 minutes. 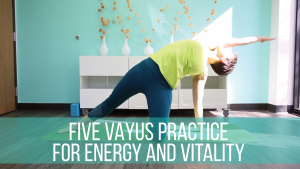 This 60-minute practice uses targeted movements and specific breathing practices to facilitate digestion on physical and mental levels and promote better assimilation of nutrients and experiences within the body. You can find it under Specialty practices > 40-60 minutes. 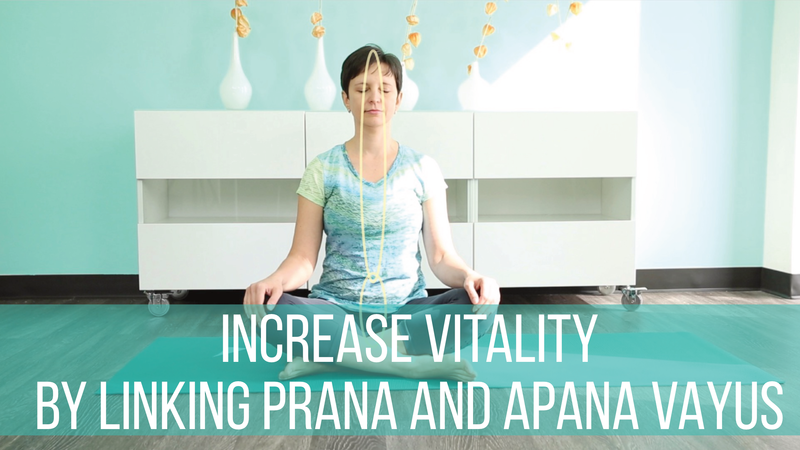 This 30-minute practice uses breath and movement to link Prana and Apana vayus (two main energetic currents in the body) to establish stronger mind-body connection and increase the sense of vitality. You can find it under Energy > Stressed > 20-40 minutes. 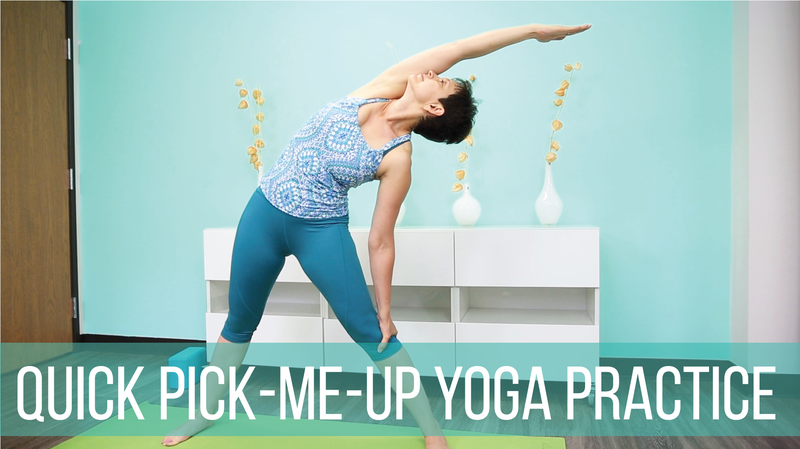 This 65-minute practice takes time to “oil up” the entire body, to slow down the breath and to look within. It is a balanced whole-body practice that helps you cultivate and maintain physical, energetic and emotional resilience. You can find it under Physical body > Entire body > 40-60 minutes. “Magic three” yoga poses are foundational poses that are useful to any student. 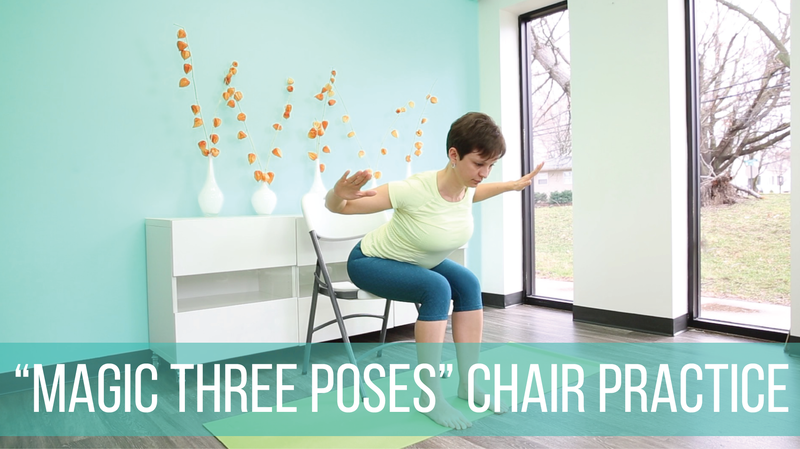 However, if the student cannot get down on her knees easily or does not have the space to roll out her yoga mat, this chair version of the “magic three” yoga poses works very well. It can be used to loosen the body up in the course of the work day, to introduce new, more fragile students to yoga movements, or as a warm up to a longer practice. You can find it under Chair practices > Under 20 minutes. 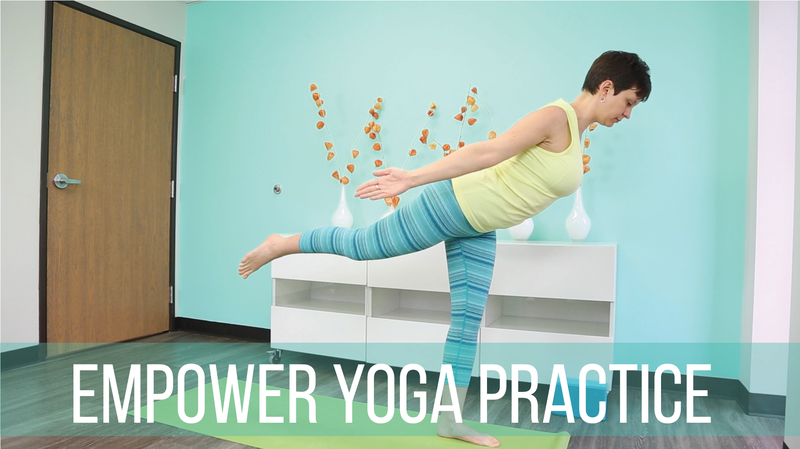 This yoga practice will help you generate energy and cultivate laser focus to propel you into action to conquer your challenges. It contains movement, pranayama, chanting and meditation and uses the image of Durga (Divine Mother) to evoke your inner fierceness. You can find it under Mental-emotional state > Anxious/Fearful > 40-60 minutes. 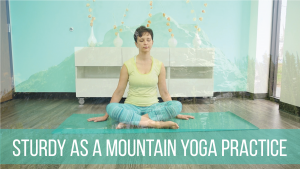 This short yoga practice uses the image of a mountain and simple chant “I am stable, I am at ease” to help you discharge excess mental energy and become more grounded. It uses movement, breath awareness and meditation to cultivate the feeling of stability and connection to the earth. It links two chakras – the root chakra and the third eye chakra – without explicitly talking about them. By doing that, it invites you to draw inspiration and stability both from your mind and your body. You can find it under Mental-emotional state > Anxious/Fearful > 20-40 minutes. 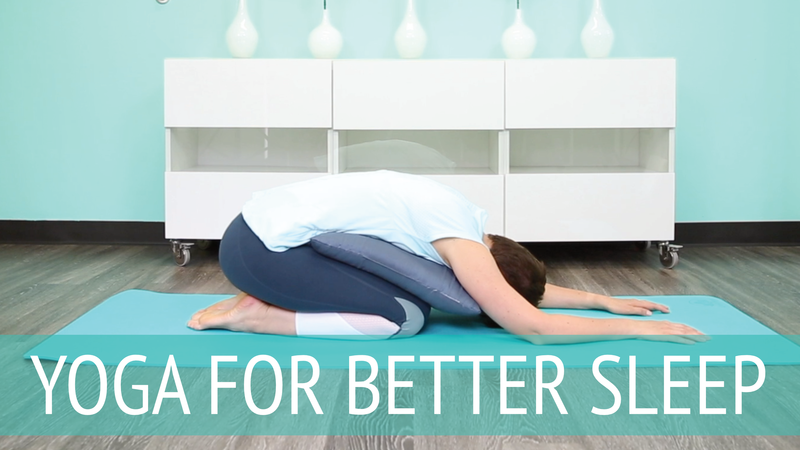 This short yoga practice uses breath, mental chanting and simple movement to help you relax the body, deepen your exhalation and quiet the mind. It is particularly useful when you feel stressed or overwhelmed. It is designed around Patanjali’s yoga sutra 1.34 The mind attains serenity through prolonged Exhalation and Suspension of breath. 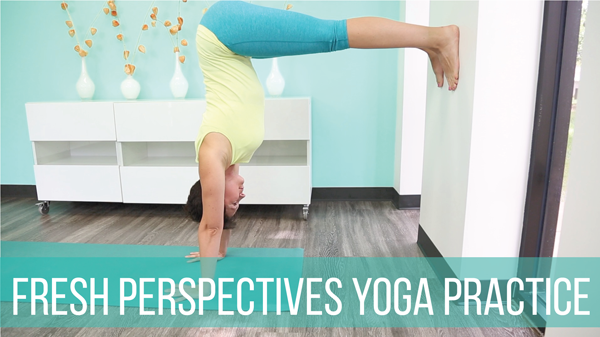 This yoga practice utilizes all the strategies above to help you stop the mental noise and let the insights emerge. It is an integrative practice; it includes multiple yogic elements (asana, pramayama, chanting and meditation). Using breath, movement, sound and imagery helps to quiet the mind, facilitate a more relaxed mental state, process metal chatter and see your old problem in a new light. You can find it under Mental-emotional state > Need clarity > 40-60 minutes. 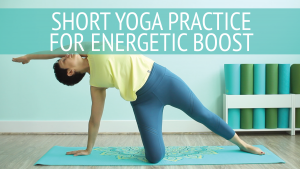 This yoga practice is meant to have an energizing and uplifting effect on the system. 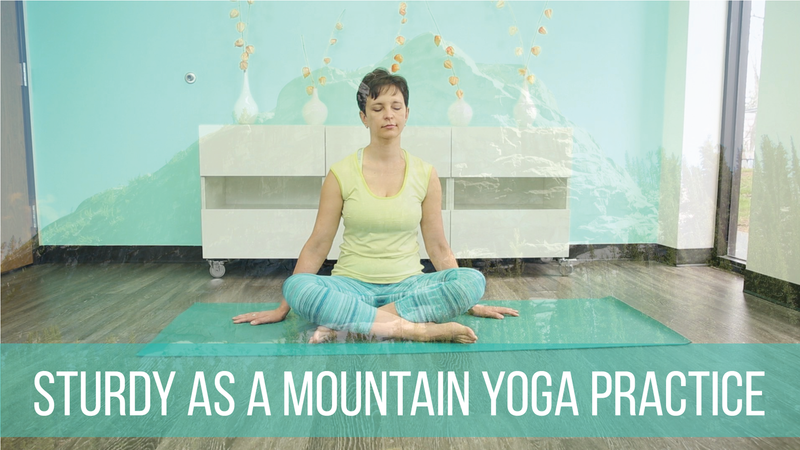 It begins with simple poses close to the ground to gradually deepen the breath and begin to move the body, and then transitions to standing poses that use large whole body movements to nourish and energize the system. It culminates in Viloma Ujjayi technique (Alternate nostril inhalation). You can find this practice under Energy > Sluggish > 20-40 minutes. This gentle yoga practice is meant to help you let go of agitation and help you tolerate uncomfortable emotions and sensations. 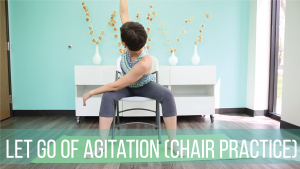 It includes few simple movements that are done entirely in a chair, but it is focused primarily on the breath. It culminates in Anuloma Ujjayi technique (Alternate nostril exhalation). 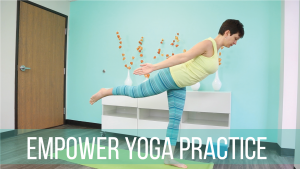 You can find this practice under Energy > Hyper > 20-40 minutes. It is important to develop the ability to distinguish between different types of sensations with more accuracy. 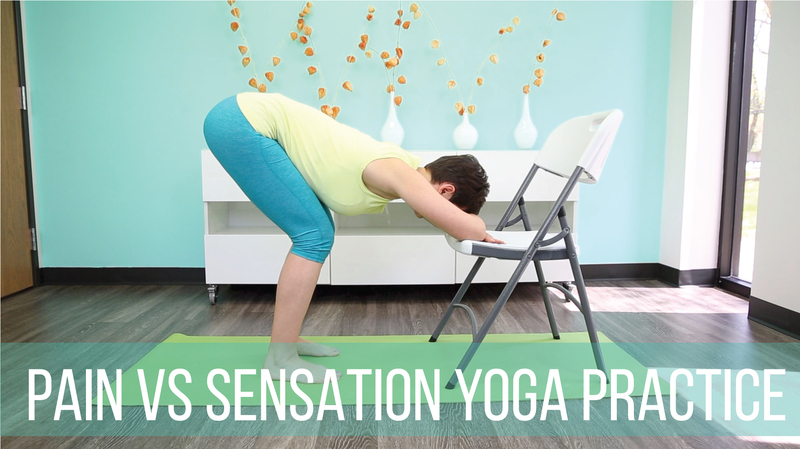 This yoga practice teaches you to differentiate between pain and sensations. It also reminds you to be kind to your body and treat it like you would a dear friend, with or without pain. You can find this practice under Physical body > Entire body > 40-60 minutes. 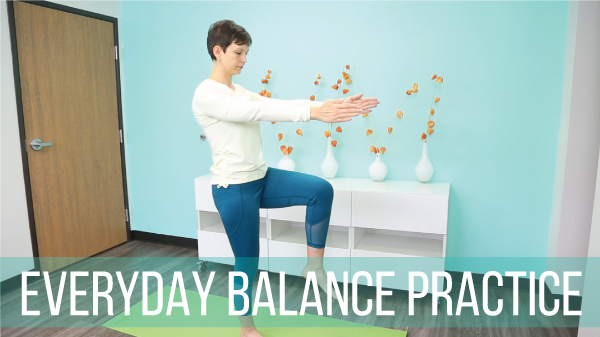 The best way to train your balance is to integrate simple balancing movements into your daily life. This short yoga practice will help you strengthen your hips and ankles while training your balance wherever you are. 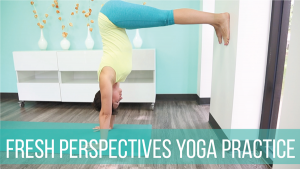 You can find this practice under Physical body > Balance > Under 20 minutes. To keep your core strong and your lower back pain-free, you need to maintain a healthy relationship between your pelvis and your spine. There are two main ways to approach it – “the pelvic tilt” and “the corset”. This short yoga practice will have you experience the difference between those two actions and help you create more stability and support in your core. You can find this practice under Physical body > Core > 20-40 minutes. You can find this practice under Mental-emotional state > Anxious/fearful > 40-60 minutes.